According to Taiwan manufacturers, Sony Mobile is about to release orders for 25 million new smartphones, to be placed with a trio of Taiwan based ODMs. The amount covers half the manufacturer's 50 million unit target it has for shipping smartphones from April 2014 to March 2015. Last year, Sony Mobile started the year with a goal to ship 46 million smartphones. By the time the year ended, that target was dropped to 40 million units. 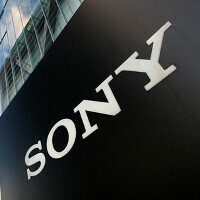 The actual number of smartphones shipped by Sony Mobile last fiscal year, was 39.1 million units. Despite that downward trend, Sony Mobile had such a good year with its mid to high-end models, that the entire smartphone operation returned to profitability in fiscal 2013. Sony's flagship models had a strong year, starting with the Sony Xperia Z, which wowed the crowd at CES with its ability to withstand a dunking in water. This was followed by the Sony Xperia Z1, the Sony Xperia Z1 Compact, and the Sony Xperia Z2. The ODMs expected to be receiving the orders from Sony include FIH Mobile, Compal Communications and Arima Communications. The latter is supposedly being tapped by Sony Mobile to design and produce 10 million to 12 million 3G and 4G handsets, the most among the trio of ODMs that Sony is rumored to be employing. Also, do you see strange grey display instead of black on all Sony mid-low end phones ? Don't you really have anything better to do in your life than watching your phone when the screen is off? ;) Seriously... I have an xperia V, and I had a U. Both have the dots, but in both cases you really have to pay attention to see them. When the screen is lit, it's difficult to see them even when the background is black. I never notice them during my daily usage. Some people seem to buy phones just to complain about the faintest flaws... I still remember the "problem" of the little stains of glue that could be seen if you looked closely into the transparent bar of the xperia U... I noticed it only after I read about it in a forum! Enjoy your phones! They're just machines built by men, and the perfect machine does not exist. I say they won't be able to hit 46million handsets because of the following reasons : iPhone 6 - Highly anticipated phone, past generation ( particularly 4, and 4S )Apple users replacement period , coming in different sizes. Galaxy S5 Prime - Won't be a big hit or a big surprise but will attract curious customers LG G3 - Highly anticipated with its premium design and specs Galaxy Note 4 - 3 sided flexible YOUM display and its monster specs will definitely attract customers The Z2 barely has any competitors at the moment. The S5 cannot be a competitor to the Z2 because the Z2 is no match in sales. Personally I'm not even a bit excited for that "3 sided flexible YOUM display". I don't think anyone is. Sony mobile is not doing good as LG! LG Mobile sold 16.2 millions phones as for 1Q 2014( 12.3 millions were smartphones) Sony Mobile sold only 8.8 millions phones as for Q1 2014 Q2 -3Q of 2014 will be a STRONGEST QUARTER for LG ! I-phone6 will sell better than s5 G3 will sell more than Z2 or M8!